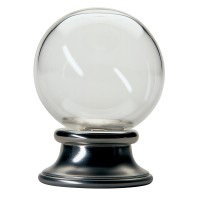 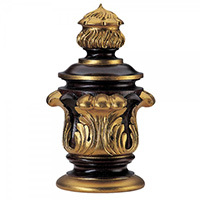 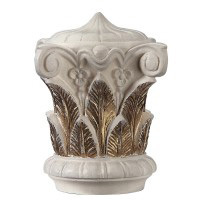 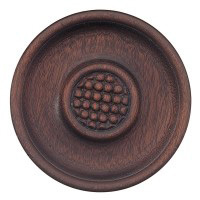 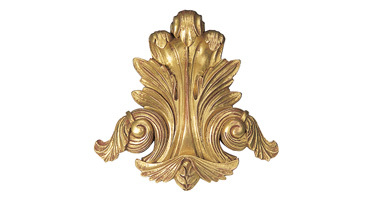 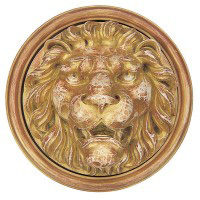 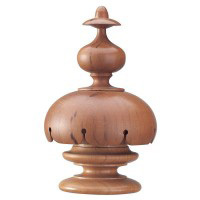 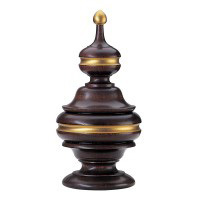 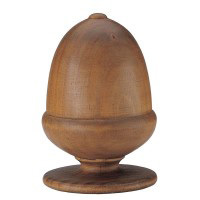 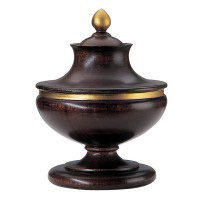 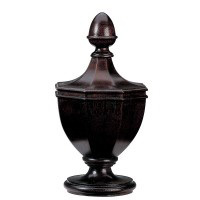 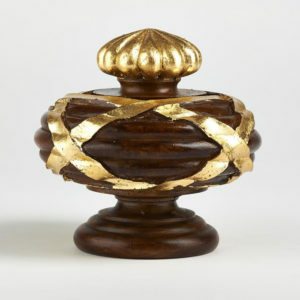 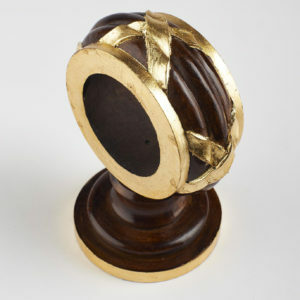 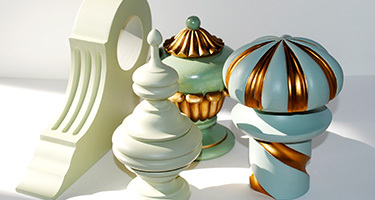 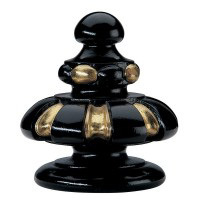 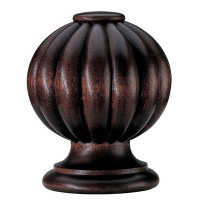 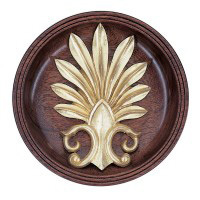 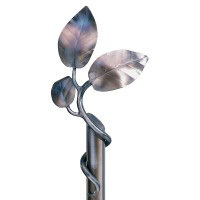 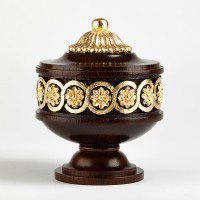 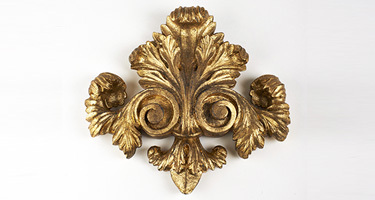 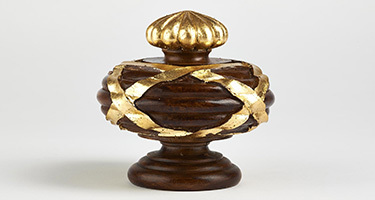 A beautiful, compact finial, hand carved in any timber or size. 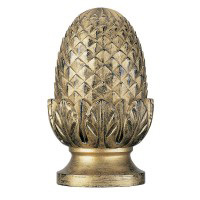 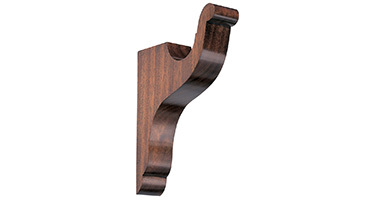 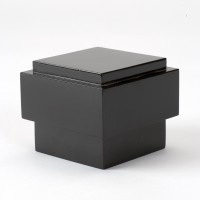 The finial is also available in resin for 50 mm or 63 mm poles only. 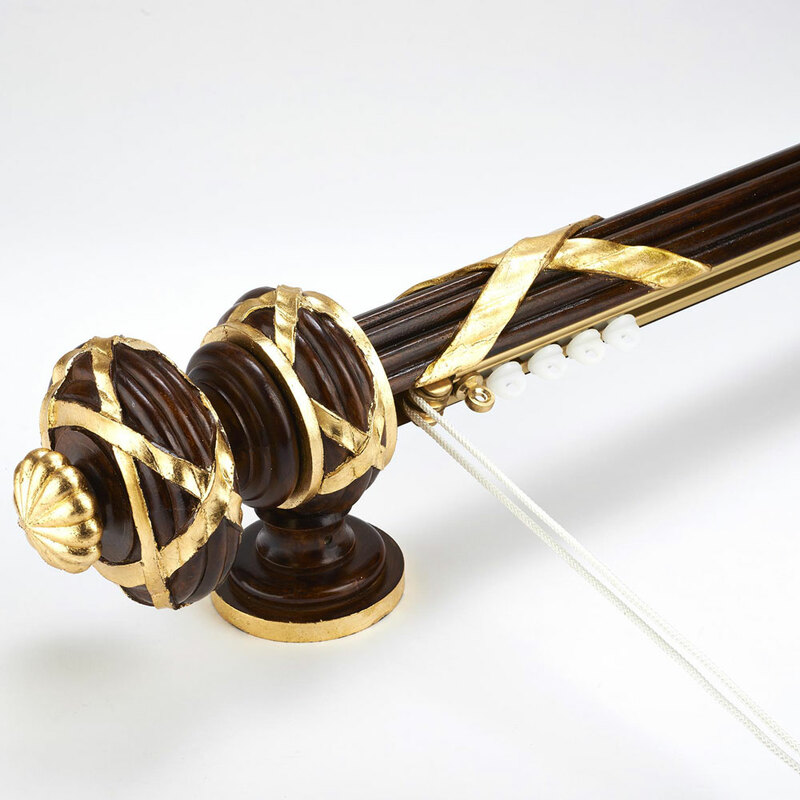 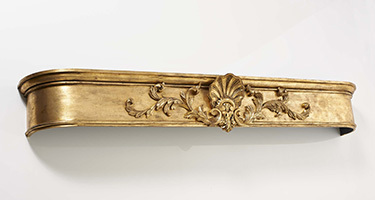 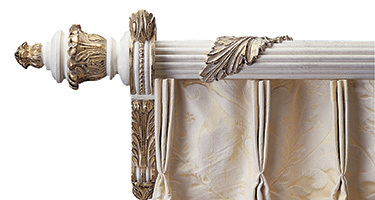 The reeded pole shown is made in mahogany with inset corded track and ribbon decoration, and is fitted with a resin finial and bracket, stained to match the natural wood with dutch metal leaf decoration. 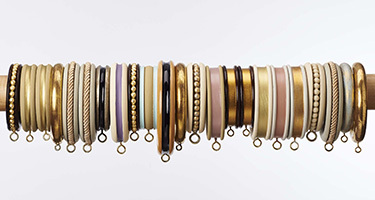 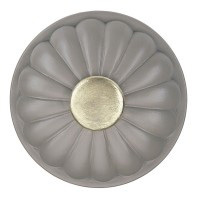 Ribbon decoration is available on all poles except 38mm diameter, so 50 mm, 63 mm and 76 mm diameter.